An offshore crane is defined as a pedestal-mounted elevating and rotating lifting device used to transfer materials and personnel to or from marine vessels, barges and structures, according to API Spec 2C, a standard used to design and manufacture offshore cranes. These offshore applications include bottom-supported, floating platform and ship-hulled vessels used in production and drilling operations, shipboard applications and heavy-lift applications. 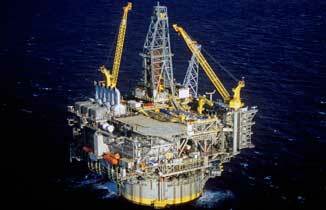 The offshore oil and gas industry was established in 1954 with the first fixed platform installed near Morgan City, Louisiana in the Gulf of Mexico. The only cranes available for use on these early platforms were existing land-based construction machines with a tonnage naming convention based on maximum structural capacity, i.e. “100 ton crane. Unlike the land based cranes, offshore cranes are fixed structures incapable of moving with their loads. However, customers often make inquiries along the lines of, "We need a 100-ton crane". The next question becomes, "What is the definition of an 100-ton offshore crane?" Because the offshore crane is a fixed structure, the distance from the crane at which the load is lifted is just as important as the magnitude of the load. 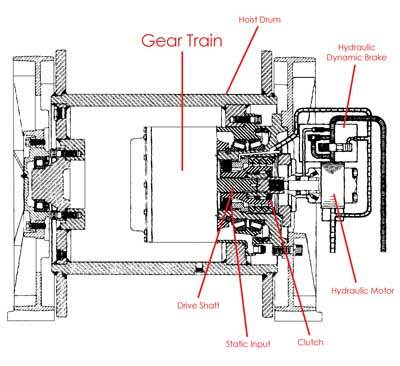 In addition, lifting a load off a supply boat pitching in waves has the potential to subject the offshore crane to impact loads that would not be present when lifting off of the deck of the crane’s host facility. Consequently, the load capacity for supply boat lifts (offboard) are generally lower than those associated with lifting off the deck of the facility (onboard). 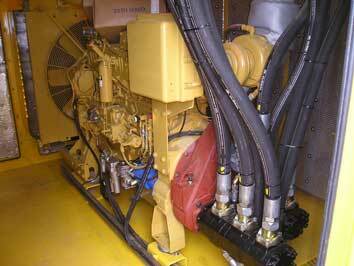 An offshore crane's capacity also depends on factors the purchaser must supply to the crane manufacturer. 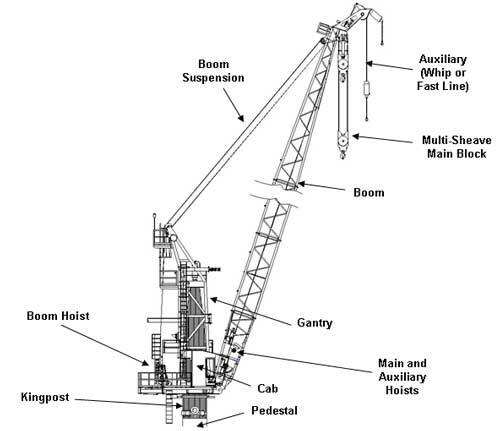 These include the type of structure upon which the crane is mounted (i.e. bottom-supported, semi-submersible, ship-hulled, etc. 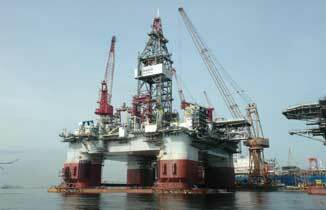 ), the environmental conditions in the platform's location and the load's location in relation to the crane. 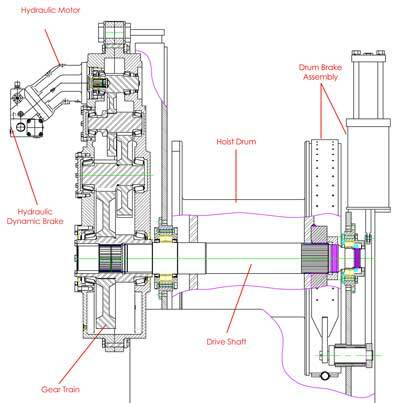 For more information on the difference between drilling duty and production installations, review our technical papers: Drilling Duty vs. Production Installations and Seatrax Drilling Duty vs. Typical Production Duty Cranes. For many years, cranes were supported on their foundations by roller bearings at their bases and are still commonly used on production duty applications. However, the kingpost design is the modern method for supporting high use cranes and/or those on floating installations and is the preferred arrangement for drilling duty and floating applications. For more information on roller bearing versus kingpost cranes, review our technical paper Support Bearing Comparison: Ball vs. Kingpost. 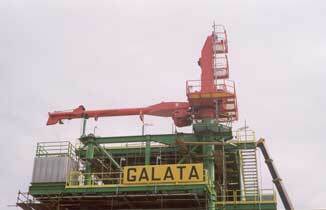 For more information on Seatrax hoists, click here. For more information, review our technical paper Fixed vs. 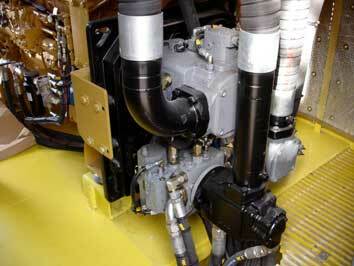 Variable Displacement Hydraulic Systems. 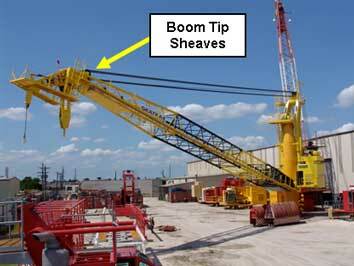 The suspension wire rope runs from sheaves in the gantry directly to sheaves in the boom tip. The advantage of this approach is that it puts less dynamic loading into the sheaves, but it requires longer wire rope, making rope replacement cost more. 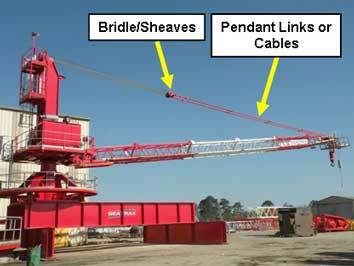 The suspension wire rope runs from sheaves in the gantry to a suspended sheave cluster which attaches to the boom tip with static links or cables. The advantage is that it requires less wire rope, but heavy duty steel sheaves and bearings should accompany this arrangement. Terms and Conditions | (c) 2017 Seatrax, Inc.